Click the name to reveal details of Dale Cemetery Historical Residents. Revolutionary War Veteran, Surrogate of Westchester County, State Assemblyman, First person buried at Dale Cemetery, Was Washington Irving’s model for Ichabod Crane. His father’s farmhouse, located near the intersection of Bradhurst Avenue and Grasslands Road in Eastview, was the scene of a British raid during the Revolution. Following the Revolution, he became a schoolteacher and a lawyer and was active politically. He was elected a state assemblyman in 1796 and again in 1809. He was appointed Surrogate of Westchester County for terms of one or more years in 1800, 1807, 1810, 181, and 1819. Samuel Youngs’ remains were originally buried near the Old Dutch Church in North Tarrytown. His body was removed to Dale Cemetery in 1851 shortly after the cemetery was completed, and he became the first person to be buried there. 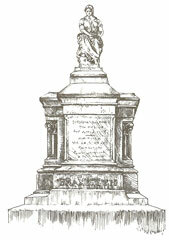 Major General Aaron Ward, President of the cemetery at the time, erected the monument marking the grave site. 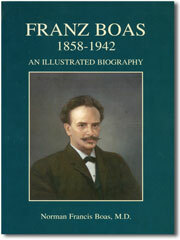 Franz Boas autobiography Franz Boas, 1858-1942, was born in Minden, Germany, and studied at the Universities of Heidelberg, Bonn, and Kiel. He cam to the United States in 1886 and carried out extensive anthropoligical research that covered the entire North American continent. He was a Professor at Columbia University from 1899 until his death. He was Columbia's first Professor of Anthropology. Professor Boas maintained, as a result of his research, that all races of man are mixed to some degree and that no race is superior to another in basic capacities or abilities. Among the books that he wrote were: "The Mind of Primitive Man," (1911), "Anthropology and Modern Life," (1928). He also published during his lifetime, over six hundred papers dealing with the study of Anthropology. He was curator of Anthropology for the American Museum of Natural History from 1901 to 1905. He also served a term as president of the New York Academy of Sciences and as President of the American Anthropological Society. Franz Boas was highly respected not only as a scholar, but also as a teacher. The anthropologist Margaret Mead was one of his students. His studies and writings left a deep imprint on the cause of Anthropology. Noted Ship-building family of the Nineteenth Century. The Collyer Family played an important role in the ship-building industry during the 19th Century. Thomas Collyer was born in Sing Sing in 1818 and exhibited a fascination for boats from early childhood. He was employed at the age of fourteen by his elder brother, William, who at that time operated a boar yard in Sing Sing. When he was nineteen, Thomas had designed and built his own sloop. Thomas entered into the boat-building business on his own in Sing Sing, and began modeling and constructing vessels which won widespread praise. He later moved to West Troy, New York, where he built his first steamboat, named the “Trojan.” The Trojan was followed by “Francis Saltus” and “America,” which were run on Lake Champlain. Both vessels were fine models which brought Collyer a reputation as a respected designer and builder. His career grew further with his removal to New York City. Here he modeled and built almost every type of vessel in use in the mid-nineteenth century, including steamships, barks, and clipper ships. One of his best known steamboats on the Hudson was the “Daniel Drew.” This handsome boat was admired as one of the fastest and finest on the river for many years. Over the years, the Collyer Family has been associated with many commercial activities in Ossining, and at times operated several successful commercial enterprises in the Village. The Moore Family resided in Ossining from about 1839 until the early years of this century. They were the descendants of Clement Clark Moore, the well-known scholar and writer who lived from 1779 to 1863. The family resided in one of Ossining’s oldest houses located near the river in the Brayton Park area. The house, known as “Moorehaven” was built around 1740 by a Dutch family named Auser, original settlers in the area. It was the scene of a Revolutionary War skirmish between an American raiding party that had stopped there briefly on a return trip from behind the British lines, and a British detachment that had pursued them from the Bronx. Clement Moore, although a visitor to Ossining, was not known to have resided here other than for brief visits. His principal home was in the Chelsea section of Manhattan where he wrote his immortal “A Visit from St. Nicholas” for his children’s Christmas celebration in 1822. The now famous poem was published the next year. Mr. Moore later resided fro many years in Newport, Rhode Island. He is not buried at Dale Cemetery. The Moore Family were prominent Ossining residents. They were members of Trinity Church and donated the clock and chimes to the church in 1894. Benjamin Brandreth was born near Leeds, England, on June 232, 1809, and arrived in America in 1835. In 1836 he came to Ossining and purchase extensive riverfront property near the north end of Water Street. He constructed several factory buildings in this are and began the manufacture of his famous Brandreth Pills which were formulated by his grandfather, William Brandreth, in England in 1751. His laxative pills were highly popular with the public and were used eventually in every civilized country in the world. The success of his sales was attributed to his advertising practices which he employed on a large scale. He used newspaper advertising extensively, employed testimonials, and was one of the first advertisers to utilize outdoor billboards in New York City. During his lifetime he spent over three million dollars advertising his pills. He was involved in many village activities. A Democrat, he was elected a State Senator in 1850, serving a two-year term, and was again elected in 1858 for a second term. He served as Village President from some years in the 1840’s. Doctor Brandreth was the author of several medical books, was an extensive landowner in the vicinity, and his pill business became one of Ossining’s largest employers during the nineteenth century. The business is still operated today as the Allcock Manufacturing Company by his descendants, the primary product being the Havahart Animal Traps. He died on February 19, 1880. Doctor Brandreth’s funeral was the largest ever held in the Village of Ossining. The services took place in Trinity Church, and the funeral procession, which was over two miles long, had one hundred and fifty horse-drawn carriages, several marching bands, a battalion of State Militia, many fraternal organizations, and the Fire Department on foot, with hundreds of citizens following the horst-drawn hearse. The New York Tribune described the scene “All public buildings and many private homes were draped in black as the metal casket covered with a glass top which was hermetically sealed, passed through the Village to the cemetery.” At the cemetery, the casket was placed in a specially constructed brick vault in the Brandreth Plot. Famous Jazz Musician and Innovator. Warren "Sonny" Sharrock was born in Ossining on August 27, 1940, to Warren Senior and Arruth Rascoe Sharrock. He attended local Ossining schools as a youth and was a parishioner of Star of Bethlehem Baptist Church here in town. He married his wife Dannette here, maintained residency in the town throughout his life, and gave back to the community by co-founding the Water Street Performance Space at One Station Plaza. His true love and passion, however, was music. Sharrock cited hearing John Coltrane's saxophone on the Miles Davis track "Kind of Blue" as his musical awakening. He was mesmerized by the power of the souldul art, and decided to be a part of a great jazz legacy. Although his asthma prevented him from playing his favorite instrument - the saxophone - he managed to leave a lasting legacy as one of the most influential guitarists in American jazz history. 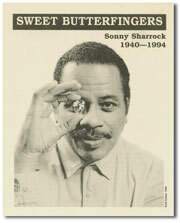 Read more about Sonny Sharrock here. County Clerk, Prison Warden, County Judge, Attorney, well known mid-nineteenth century Ossining residents. Munson I. Lockwood and his brother, Albert, were both well-known mid-nineteenth century Ossining residents. Munson was a general in the New York State Militia, and later was associated with a military school in Ossining. He was active in politics and served two three-year terms as Westchester County Clerk beginning in 1843. He was also Warden of Sing Sing Prison from 1850 to 1855. His wife was the former Amelia Jane Havell, eldest daughter of Robert Havell, Jr., the engraver for John James Audubon, the naturalist. The Havell residence, located on Havell Street, not far from the main entrance to the cemetery, was Robert Havell’s home from 1841 to 1857. He later moved to Tarrytown where he died in 1878. 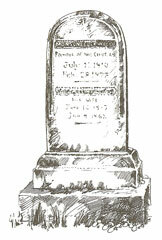 Both Munson Lockwood and his father-in-law, Robert Havell, were original trustees of Dale Cemetery. Albert Lockwood operated a law firm with Aaron Ward for many years in Ossining, and he served also as a Westchester County Judge from 1847 to 1851. Judge Lockwood was responsible for the legal training of John T. Hoffman in his law offices. Mr. Hoffman went on to become Governor of New York State. Researched and Written by Norman T. Macdonald, curator of the Ossining Historical Society. 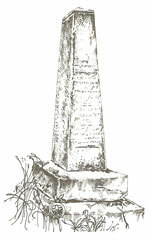 Read more about Historic Dale Cemetery on Wikipedia. Office Hours are 9:30am – 3:30pm weekdays. Office is closed on Saturday & Sunday. Please note the Gated Entrance off of Dale Avenue and Marble Place is closed Monday - Friday, but open on weekends and holidays. Office Hours are 9:30am - 3:30pm weekdays. Office is closed on Saturday & Sunday.